Sing a song is a sound installation reminiscent of a party in deafening nocturnal disarray. 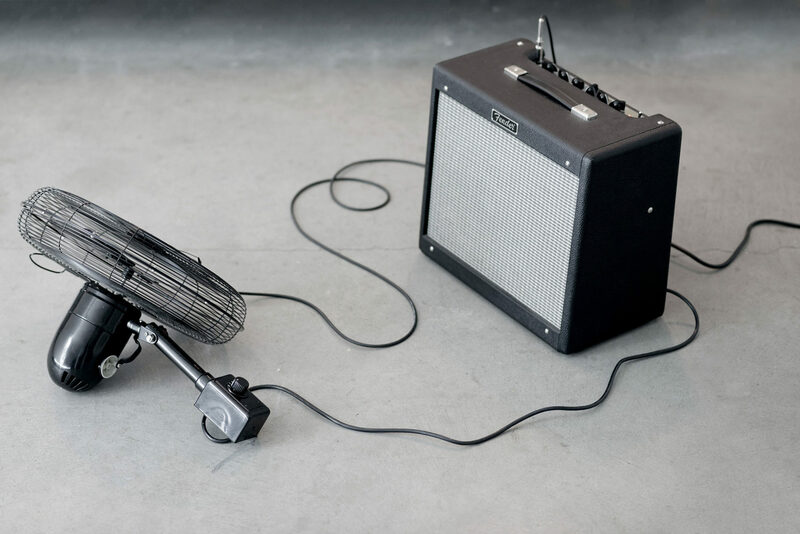 The remains of an event that took place, this installation features an ironic, almost human dialogue between two commonplace objects: a ventilator head, dragging itself and grinding away, in conversation with an amplifier. As its repetitive, scraping movement traces a black mark on the floor, the ventilator produces a creaking sound complaint reminiscent of a past event.